A couple of weeks ago I was doing the dishes at the sink when I noticed that my feet were getting wet. I looked down to see a large puddle of water coming from under the sink. 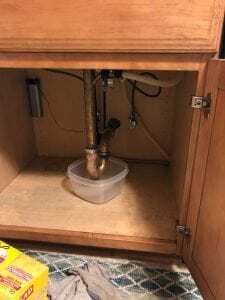 When I opened the cabinet below the sink my heart sank as I realized the water was coming from a U-shaped pipe under the sink. Every time the sink was turned on, water would leak from the pipe and get all over. I immediately thought about calling a plumber and wondering how much it would cost to fix something like this. Then, I paused and thought about what I am teaching at school and about having a growth mindset and problem solving. In Tinker Town we always talk about learning from our mistakes and coming up with ways to solve the problems that come up around us. I started to think, maybe I could solve this problem myself? 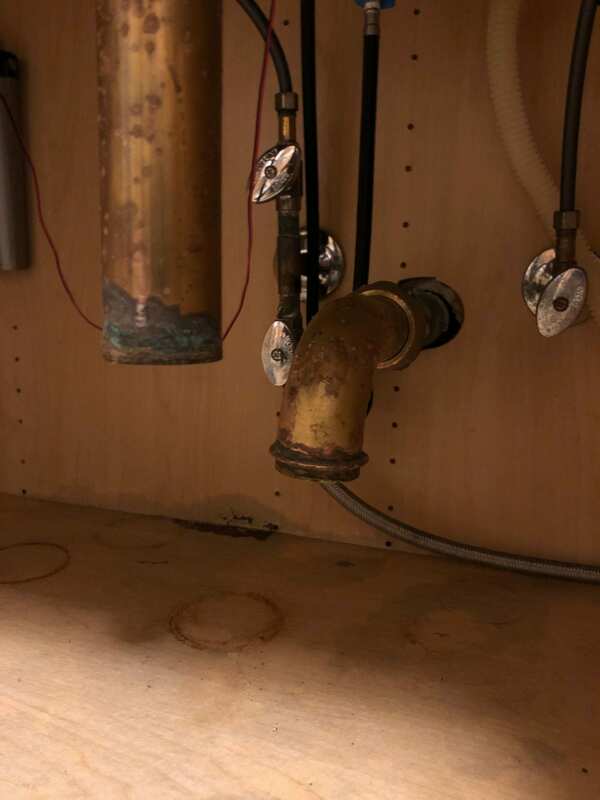 I started by locating the leak and realized that the pipe was corroded and needed to be replaced. 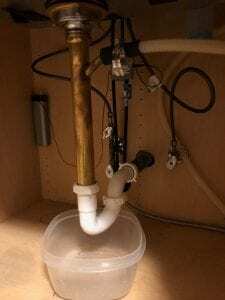 In the past, I would call a plumber and spend the money. Now, I slowed down and thought about my options. I have a very handy neighbor, so I gave him a call. After talking to him I was determined to fix this problem myself. After 2 trips to the hardware store, luckily Home Depot is open until 10pm, I thought the problem was fixed. The hardest part was removing the old piping that had fused together and took a lot of effort and force to remove. Those pipes had been there since 1962 ad did not want to come out. 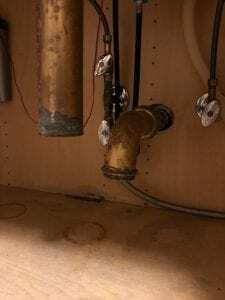 Once that was done, it was fairly easy to replace the pipes and see if they worked. I was amazed to see that I had done it! I turned the water on and it was not leaking. However, after running the water for about a minute I noticed a new leak forming from the drain pipe, located directly under the drain. This pipe was not leaking before. I felt defeated. I was frustrated and ready to give up. However, I knew how to fix this now, but needed another trip to the hardware store. It was too late to go back, so I decided to stop and continue the next day after work. After work the next day I returned to the hardware store, got the drain pipe needed, and replaced it. It took almost no time at all, compared to the hours spent last night, and it was fixed! I ran the water for a while to make sure there was no leak. It worked! I was elated and felt so proud. This shows that what we learn in 5th grade about being determined, having a growth mindset, showing grit, and learning from our mistakes are values that will follow you in life and help you when problems arise. I am so glad I took the time to fix this problem myself as I learned so much from this experience. What it first looked like before I fixed the problem. You can see the first pipe I removed and how old the pipes looked. All fixed!! 3 new pipes. 1962 is about 15 or 16 years before my dad was born and my dad was born a very long time ago.